This tutorial will show you step by step how to set and use MP3 songs as custom ringtones on a Windows Phone 8, 8.1 and Windows 10 Mobile phone (e.g., Nokia and Microsoft Lumia) in two different ways. This tutorial will work for all Windows Phone 8, 8.1 and Windows 10 Mobile smartphones, such as the Nokia and Microsoft Lumia 435, 520, 530, 532, 535, 550, 620, 625, 630, 635, 638, 640, 650, 720, 730, 735, 830, 920, 925, 930, 950, 950 XL, 1020, 1320, 1520, and all other types. Using Mp3 music as ringtones on a Windows Phone smartphone works slightly different than on Android and iPhone phones. If your MP3 songs are stored on your computer, then you will need to copy the tracks directly to the Ringtones folder on your Windows Phone. If your MP3 songs are stored on your phone or SD card, then you will need to use a free application to create custom ringtones of your songs. Note: This is about the first method mentioned. I've already tried to copy songs that were already stored on my phone and SD card to the Ringtones folder, but somehow the songs didn't show up in the ringtones list, so that's why you will need to use your computer. For this method, you will need a computer and your phone's USB cable. 1. Connect your Windows phone with the USB cable to your PC. 2. Go to the location on your computer where the MP3 songs are. 3. Select the song(s) you want to use as ringtone(s). 4. 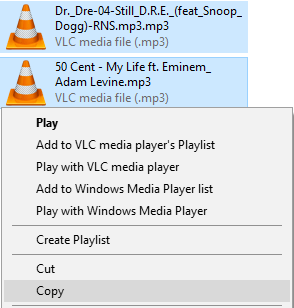 Right-click on the selected song(s) and choose "Copy". 5. Open Windows Phone on your computer. If you are using Microsoft Windows as your operating system, then use Windows Explorer or File Explorer and go to My Computer or This PC. Note: If you open Windows Phone and don't see the Phone folder, then you will need to unlock your phone (lock screen). 7. Open the Ringtones folder. 8. Right-click in the Ringtones folder and choose Paste. The song(s) will now be copied to the Ringtones folder on your phone. 9. Unplug your phone from your computer. 10. Take your phone and make sure it is unlocked. 12. Tap on ringtones + sounds. 13. Tap on the Ringtone bar (your current ringtone). 14. Tap on the song you want to use as your new ringtone. The MP3 song is now saved as your new ringtone. If your MP3 songs are stored on your phone or SD card, then you will need to use the free application called Ringtone Maker from Microsoft Mobile to create custom ringtones of your songs. Note: I've already tried to copy songs that were already stored on my phone and SD card to the Ringtones folder, but somehow the songs didn't show up in the ringtones list, so that's why you will need to use this application or your computer (method 1). This application allows you to select 40 seconds out of a song and then save it as a custom ringtone. This tutorial will show you step by step how to install and use this application and also how to set one of the custom ringtones you've created with this application as your new ringtone. 1. Open the Windows (app) Store. 2. Search for ringtone maker. Enter Ringtone Maker into the search bar and choose the application from the drop-down menu. Enter Ringtone Maker into the search bar, tap on the search icon or enter located on your keypad (keyboard) and then tap on Ringtone Maker. Note: If you don't see Ringtone Maker by Microsoft Mobile, then you will need to enter ringtonemaker without space in between. 3. Install Ringtone Maker from Microsoft Mobile on your phone. 4. Open the Ringtone Maker application. 5. Tap on pick a song. 6. Tap on the song you want to use as a custom ringtone. 7. Select 40 seconds of the song. 8. If you want a preview, then tap on the play icon located at the bottom. 9. Tap on the save icon to save your new custom ringtone. Now it's time to set one of the custom ringtones you've created with this application as your new ringtone. For this method, you will need a computer and your smartphone's USB cable. 1. Connect your phone with the USB cable to your computer. 2. Go to the location on your computer where your MP3 music is stored. 4. Right-click on the selected song(s) and choose Copy. Note: If you open Windows Phone and don't see the Phone folder, then you will probably need to unlock your phone (lock screen) first. 14. Tap on the Ringtone bar (your current ringtone). 15. Tap on the song you want to use as your new ringtone. If your MP3 songs are stored on your phone, then you will need to use the free application called Ringtone Maker from Microsoft Mobile to create custom ringtones from your songs. This tutorial will show you step by step how to install and use this application and also how to set one of the custom ringtones you've created with this app as your new ringtone. 3. Install Ringtone Maker from Microsoft Mobile.